Our expert staff has taken the lead in every facet of diesel-electric locomotive inspection, overhaul, repair, and operation. We specialize in GE and EMD locomotives, with hands-on experience spanning a wide variety of locomotive models. From diagnostic and repair services to on/off lease locomotive inspections, find out how we can meet your needs. 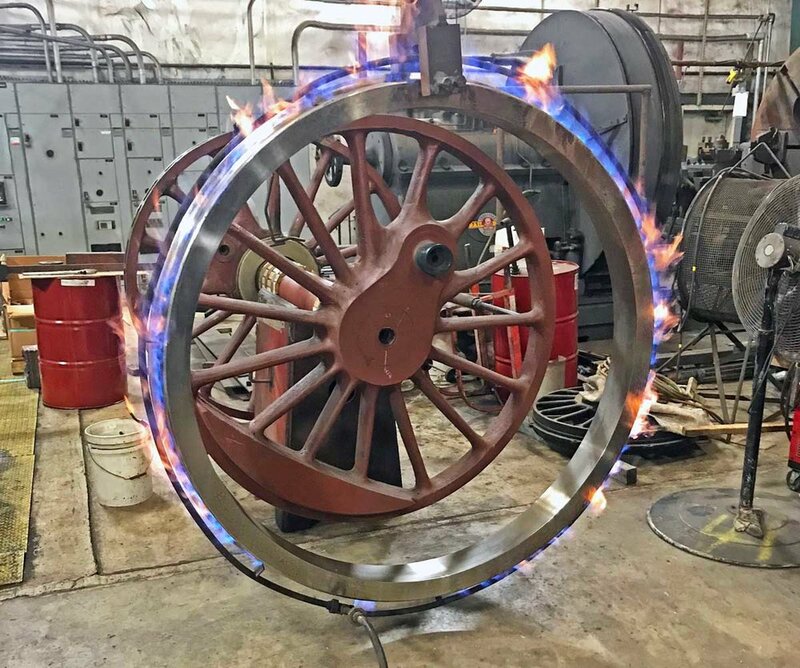 FMW provides expert steam locomotive inspection, repair, overhaul, and support services, offering our clients more than 50 year's experience in this specialized field. Whether it be the application of 21st century technology to a 1911 locomotive, or a period-based overhaul, we are happy to lead, or assist, in returning historic locomotives to the rails. Turntables. Transfer tables. Drop tables. Wheel Machines. Railroad shops rely upon highly specialized pieces of equipment to keep their repair facilities operating at peak efficiency. FMW provides prompt, capable specialty machinery repair. Find out how our skillsets, and a 50,000 square foot machine shop, can be put use for you. Freight or passenger, vintage or modern. Our expertise encompasses all facets of railroad equipment operations, inspection, maintenance, and repair. Our Team has worked on hundreds of mainline and short line diesel-electric locomotives, and have overhauled multiple steam locomotives. Through transparency, communication, and dedication to craft, we provide our clients with peace of mind that work will be done as described and up to standard. The rail industry, in particular, is unusually abusive to equipment, where duty cycles, grit, and tonnage often dictate the availability of a given asset. We always keep this at the fore when approaching a project - embodying the mantra of "expect the unexpected." Ultimately, however, our greatest strength lies in our ability to communicate clearly the details and nuances of railway mechanics in a manner that our clients understand and, in the end, enables them to make key decisions regarding equipment repair and refurbishment. Whether you seek to hire FMW to handle a project soup-to-nuts, or you'd like us to diagnose a problem and coach your crews to repair the equipment, we are ready to provide you peace of mind. Our experts are ready to provide you with all manner of specialty rail mechanical services. Whether you are seeking to return an antique steam locomotive to operation or diagnose an issue with a Tier IV diesel-electric locomotive, we are excited to provide expert solutions to your needs.